When life is busy and hectic, somehow PJ days are the ultimate indulgence! I remember as a kid, I used to long for rainy Sundays, aka PJ Day in our house! I always loved lazing around in my comfies, and having a day full of nothing but relaxation! I’m sure I’m not alone in this… Even though in the 11 years we’ve been together, my hubby has never once joined in with one of my pj days! They didn’t disappoint! All 4 sets were very generously sized. So much so, I’d say size down for kids if they have only just moved up a size. We spent the day lazing around at home, playing board games, watching TV and reading books. We even did some baking while wearing our new jammies, and all of us were super comfy! The boys of the house aren’t fans of posing, so I only managed to get a snap of Syd and I wearing our new Harry Potter Pyjamas. Needless to say, we are watching Harry Potter! The quality of all 4 pairs was brilliant, and all of them washed really well. They all survived the tumble dryer without shrinking too – always a bonus in my book! The Men’s Batman PJs have an RRP of £15.99. They are very generously sized. Hubby usually buys Medium or Large PJs, and I’d definitely go for medium, if not small if I was buying these again. 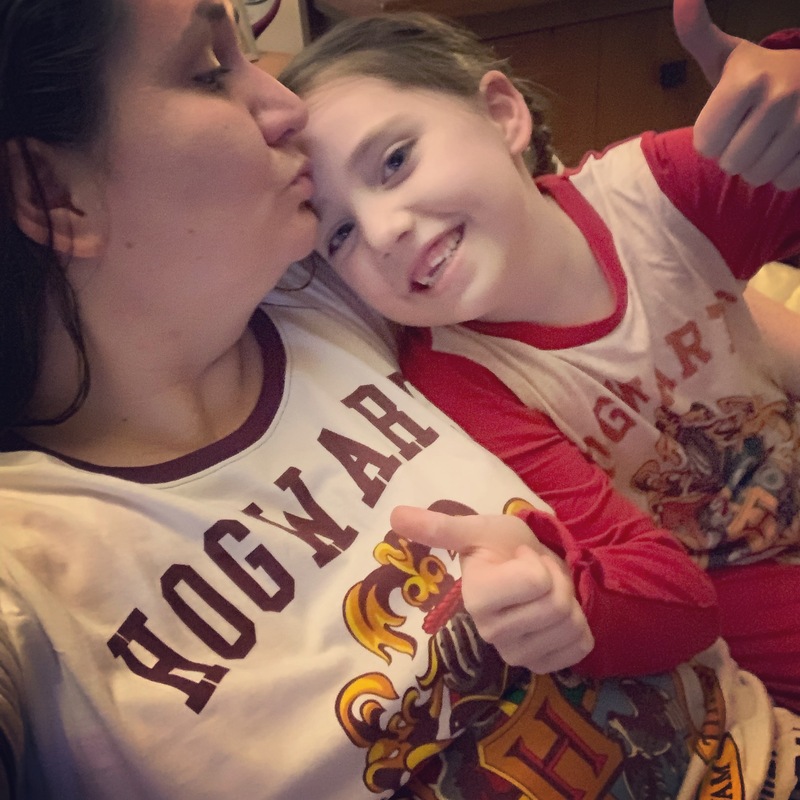 The Kids Hogwarts Pyjamas have an RRP of £10.95 and are really comfy material. I love that they are cuffed bottoms, so there’s no tripping over the bottoms if they are too long. The kids Grizzly when disturbed pyjamas are great for tall kids – the bottoms seemed super long compared to other pyjamas Sam has got. This is great for him as he’s got long legs! With an RRP of £9.99 they are great value too. Finally, the women’s Harry Potter Pyjamas are priced at £12.99 and are available up to size 22. They are super comfy and not ridiculously short like a lot of women’s pyjamas are. I’ll definitely be buying more pyjamas from pyjamas.com and am already planning our next PJ day! Lastly, if you enjoyed this post, why not check out more of my family content! We were sent these PJs to review, but all words nd opinions are my own.